As the leaders of their armies, Generals are responsible for the protection of large or important areas in the kingdoms to which they have sworn fealty. Well seasoned in the art of war, Generals can direct even the freshest recruits to strike strategically against imposing odds and emerge victorious. Recognized by nobility and citizenry alike, they are outfitted in ornate plate armor and granted some of the finest weaponry that human craftsmen can offer. 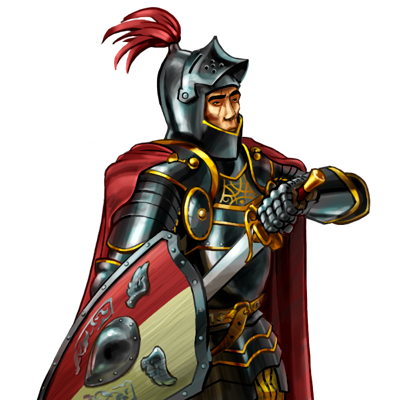 Specialaj notoj: The leadership of this unit enables adjacent units of the same side to deal more damage in combat, though this only applies to units of lower level.